‘New Year, New You’ is all everyone talks about in January, and often people really try to make positive changes to help themselves return to a healthier, happier version of themselves! So, we thought that we could help you on your way, by providing some top tips on how to cleanse and revitalise this January. The first thing we’d like to point out is that cleansing is still holistic. If we focus only on changing the physical aspects (like eating healthily and exercising more) - whilst this is good for us – forcing this might mean that our new habits are less likely to be embodied! If we recognise that cleansing holistically can help us stay balanced in all areas – and by holistically, I mean body, mind and soul – we are more likely to start the New Year more aligned with who we really are – and keep it that way! It’s not so much about creating a ‘new’ you, as it is about re-finding the existing you. You see, all we really need to do, is to tap into what works for us in our healthier habits to help us detoxify and cleanse, and allow any unhelpful habits to fall away. The very meaning of ‘cleansing’ and ‘detoxifying’ is ‘elimination’ of all that is not needed. So, the aim, really, for the New Year is to allow all that is not needed to drop away, leaving our true selves! So, how do we do that? Firstly, let’s understand that our minds are very powerful things, and they play a huge part in our health. Likewise, our soul has to be fulfilled for us to be balanced. Simply changing physical habits is like trying to patch something over and suppress it. So, whilst we will definitely get to the ‘physical’ detoxing later on, let’s first introduce some holistic cleansing for the mind and soul! Remember this: when we look at our thinking around who we really are, and become more conscious of our heart’s desires, that is when transformation occurs by itself! For example, if you want to lose weight and cleanse in order to do this, then why do you feel the need to do this? Are you really needing to lose weight, or is there something underneath that? Is it because you feel unlovable, or out of control, or something else? For example, I often over-eat when I’m stressed, so what might I be able to do to help subtract that issue? I could address my stress and be kinder to myself – or I could ask more questions about why I am stressed. Stress, for example, often comes from life being different to how we expect it to be. So, is there something spiritual underlying that? Am I stressed because I am not fulfilling my heart’s desire? There are many levels of health that can influence things! On the other hand, perhaps I’m just stuck in thinking about all of this, and if I look away from it, it can fall away all by itself! Either way, when I sit in contemplation and ask the right questions of myself, this is where the real cleansing process begins. Underneath anything physical that I might want to address, there might be something else that can become ‘cleansed’ and which can simply fall away just by becoming more conscious of it! Understanding what’s going on for us often creates space for it to drop away, allowing us to drop out of our heads and back into our hearts! Mix 3 drops Frankincense essential oil, 3 drops Mandarin and 2 drops Myrrh. Diffuse into the room for up to 30 minutes. Whilst you are engulfed in the beautiful aroma, simply sit in the quiet and reflect inwards. Is there anything deeper underneath that issue? What do I really want this year? What do I love? What fills my heart with joy? Who am I at my core, underneath any superficial things I may want to change? When you do this, you might be surprised at what comes up! Perhaps it will raise your awareness of things you hadn’t seen, and just seeing those can help ‘stuff’ drop away, revealing more of who you really are. Remember, the best cleansing process simply removes the layers of you which aren’t needed, rather than forcing you to recreate yourself! You’re already perfect! You might also want to balance this session with some self-love and compassion because that also helps cleanse the soul! Try creating a massage blend with 3 drops Rose essential oil, 2 drops Geranium, 2 drops Sweet Orange and 15ml Grapeseed oil. Smooth this all over your body, massaging in a direction towards the heart, then lie back and balance your inhale and exhale, being really mindful of the beautiful scents. Allow your mind to find some space, or just notice what answers come up to the above questions – if any. Let your mind gently wander but become an observer of it. What is it telling you? As well as your soul, it is also important to become aware of your mental-emotional state. It is useful to become conscious of how far any mental-emotional issues are driving your ‘need’ to cleanse. Why do you want to be a ‘New You’ when the existing you is already perfect? You might have delved into some of this if it came up in the first two ‘soul’ exercises. Perhaps something came up for you. Alternatively, you might want to get more clarity about what you really want this year – you might not know! If you have a busy mind that is telling you that you need to be ‘different’ this New Year, try a beautiful mind cleansing blend to help focus your thoughts on what you want to achieve. In a spray bottle, mix 15 drops of Lemon essential oil, 10 drops Lavender, 5 drops Basil and 100ml of Lavender Hydrolat. Spritz all over yourself throughout the day to encourage mental clarity. Finally, we come to the physical part – perhaps where most people will start in telling you how to detox and cleanse for the New Year! Obviously at this time of year there are certain ways that people want to detox. To help, we’ve got a couple of popular January Detox blends for you to enjoy once you have clarity! In general, we can support our body’s physical detoxification process by using cleansing essential oils. Try 2 drops Juniperberry, 2 drops Spanish Lavender Sage and 2 drops Fennel mixed in 15ml Grapeseed oil. Use this daily as a moisturising body oil, applying to your body each morning after your shower, for the whole of the month to support your January cleanse! People also tend to want a blend that will help them to keep to their new rituals and cleansing routines, so this one is more for supporting your willpower in undertaking the ‘Mind-Body-Soul Holistic Cleansing’ approach! Periodically throughout the day, vaporise this beautiful habit-kicking blend of 5 drops Grapefruit, and 3 drops Peppermint in an aromatherapy diffuser or candle burner for up to half an hour at a time – or you could pop a few drops of each oil into an Aromatherapy inhaler and sniff as and when needed if you’re on the go! We hope these tips will help you take a more holistic approach to cleansing this New Year – which is a much better way of becoming healthier and happier this January! Try the top 5 blends above – or get creative with your own! 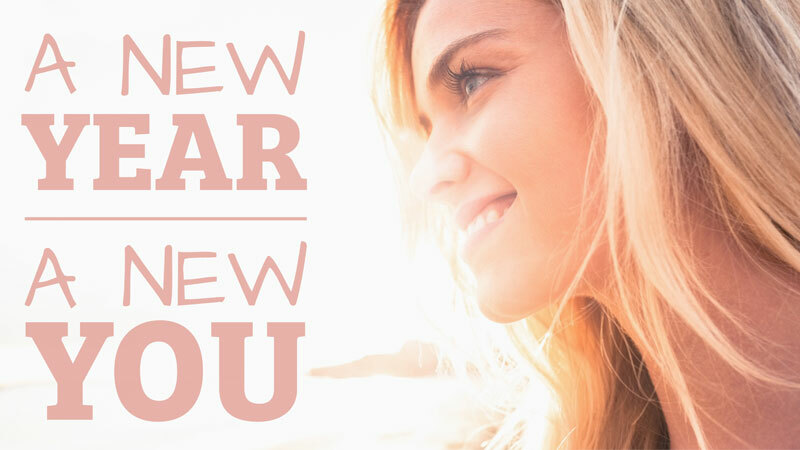 Follow your nose – and your intuition – for a happier, healthier 2019! Don't forget that all of the recommended oils can be purchased online via our website!